Because we come to you quickly, there is never a need to tow your car or bring your lock somewhere to be serviced. We will assist you quickly with the following services and more if required. Retrieving locked keys in trunk. Car key replacement for lost or broken car keys. Ignition cylinder replacement and repair services. Ignition switch replacement and repair services. Unlocking car doors or trunks. Frank was great. He worked on my lock for an hour at night in the cold and only charged me his original quote. The job was very tricky and he remained calm, patient and friendly throughout. He was very concerned for our welfare and even offered to let us sit in his van so we could stay warm. I am so pleased that it was Frank who turned up to rescue us. Thanks Frank! I had the pleasure of dealing with Frank today who quickly and efficiently got my keys out of my car. There were two 'technicians" from another company attempt before him with no success, only wasted my time. If you want the job done right and done well I highly recommend Frank. 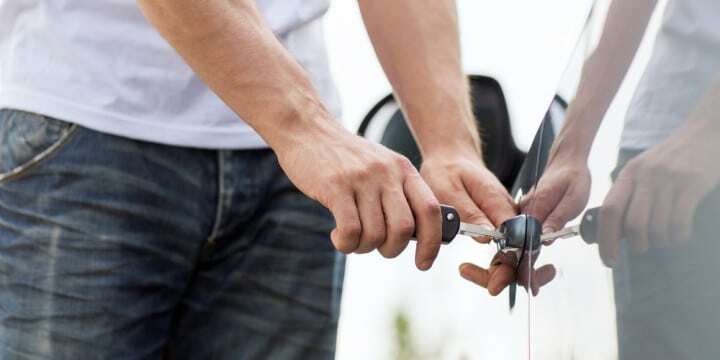 If your keys have been locked inside your car, broken off in the lock, or simply lost, our professional auto locksmith technicians are equipped with a variety of tools, skills, knowledge, and experience to provide efficient expertise and assistance. 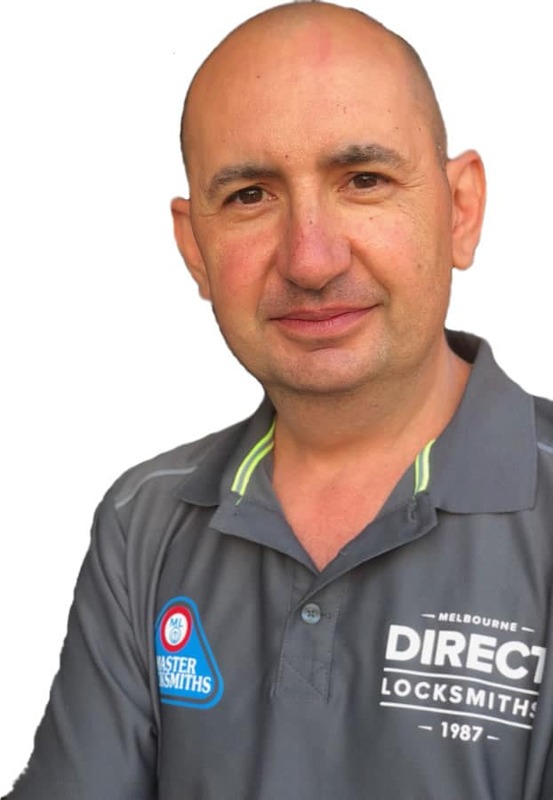 It is our goal to deliver fast and friendly service to get you on your way as soon as possible, while lessening your stress and the undeniable inconvenience of such a stressful and often unexpected situation as best we can. There are a few common tools and practises used to resolve standard lockout issues. Determining which tool is required depends on what kind of lock the car has or what specific issue is to be addressed. For automobiles with upright locking devices, the most common and most effective tool is the Slim Jim. Although the methods of its use may vary slightly depending on the make or model of the car, the Slim Jim typically requires sensitivity and finesse to appropriately insert the tool between the weatherstrip, taking care to mind the delicate interior wiring or hardware without causing damage, as the upright locking device is slid into the upward position. Wedges are another commonly used tool for a variety of lockout scenarios and lock types. Good for most makes and models, wedges have a consistently high success rate without the risk of inflicting damage to the vehicle. The wedge is used to create an opening just large enough so that the appropriate supplemental tool may be used to release the locking mechanism from the inside of the car. For upright lock styles, a lasso tool is used; whereas a rod tool may be used for other locking styles. There are more specialised tools designed to accommodate an assortment of locking mechanisms, such as the Japanese Tool or the Auto Buster. Named for its predominant use on Japanese automobiles, the Japanese Tool is similar to the Slim Jim, in that it, too, is slipped between the car’s weatherstrip. It differs, however, in that it is designed specifically for thumb style locks rather than for generic upright locking mechanisms. The Auto Buster, commonly utilised for GM models, operates similarly to the Japanese Tool but allows for more adept resolution of issues with side-locks and side-sliding locks. Our expert technicians are capable of helping regain access to your trunk, should your keys be locked within. Regardless of make, model, and unique security systems that may be installed, our automotive locksmiths are fully equipped with the knowledge and experience to handle each scenario with care. We determine the appropriate tools that may be necessary and take what time is needed to protect your vehicle. We will always set proper expectations regarding the level of sensitivity required, especially if such delicacy may be required as to increase the time it takes to resolve the issue. Safety, accuracy, and a job well done are important to ensuring the best service experience possible. If a key becomes stuck within or breaks off into a lock, be it within a door or even the ignition, extraction methods may be applied to dislodge the key. It is important to extract the key as quickly and adeptly as possible to avoid sustained damage to the vehicle or added service costs, such as replacing a drained battery in the event of a key becoming stuck in the ignition while in the ON position. Our skilled technicians start by lubricating the affected lock before using a specially designed extraction tool. The broken key extractor is aligned flush against the lock in order to hook onto the lodged or broken key, allowing it to be slipped out with ease. For some unique circumstances, the probe method may be applied, during which a set of two, specially designed metal tools expertly function to grip and dislodge stuck or broken keys. A vehicle may exhibit symptoms indicative of ignition malfunctions and may include multiple contributing factors. Worn keys or pins located within an ignition’s cylinder, for example, have been known to cause a failed connection, resulting in failed attempts to start the car. Regardless of a key’s ability to turn in the ignition, if the ignition is malfunctioning, a car’s engine may not turn over as expected, may have difficulty starting, or may even turn itself off while the car is running. Needless to say, your safety may be at risk and your automobile’s reliability becomes compromised if ignition issues are not resolved as quickly as possible. Although generic locksmiths may be able to assist with standard locking mechanisms, hiring our highly-trained, professional automotive locksmiths ensures the most specialised automotive service for your vehicle. We have the know-how and expertise to determine just what needs to be repaired or replaced when it comes to servicing replacements of ignition hardware and devices. Our technicians are specially trained to address the varieties and intricacies involved in proper diagnosis and resolution of ignition malfunctions. After applying the most skilled troubleshooting and accurately diagnosing the problem, we provide services and repairs that are custom-tailored to your car’s specific needs. No variety of make or model is too obscure for our top-of-the-line technicians. Whether replacing the cylinder or switch components, our professionals get the job done right without causing additional damage, turning a stressful inconvenience into a satisfying experience. Our team of professional automotive locksmith technicians additionally provides re-keying services, should they be requested or required. 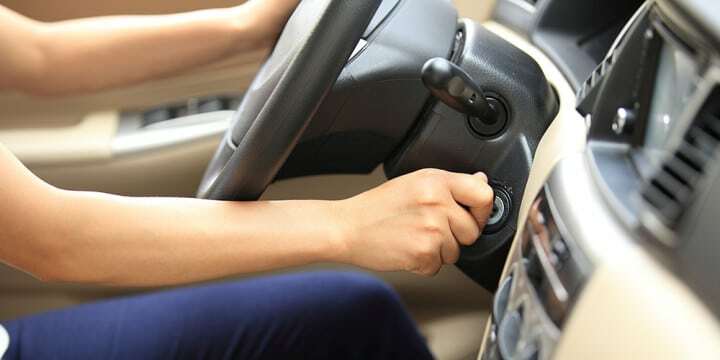 Depending on the make, model, or unique customer circumstance, re-keying the ignition may be easier, more efficient, and more cost-effective than replacing or repairing an ignition’s cylinder or switch. Taking advantage of our re-keying services ensures your vehicle will still only require a single key for use and access. Additional options are also available, should you request or require to be more selective of the locks that are re-keyed. Q. How long will it take for an automotive locksmith to arrive? 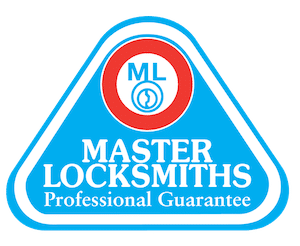 It typically takes approximately 30 to 45 minutes for a locksmith to arrive, depending on your location and the current availability of locksmiths in your area. Our technicians are always on the road and are trained to maintain prompt and reliable communication. Q. Do specific makes and models require specially trained automotive locksmiths? We pride ourselves on the knowledge and experience of our technicians. Equipped with a variety of methods and services, our locksmiths can handle any make or model. Q. Once a technician arrives, how long will it take to unlock my car? An initial assessment of the required tasks is standard upon arrival. Although most issues are usually resolved within 5 minutes, instances that require a specific key or specialised repairs may take longer. An estimate is always provided after the assessment and before any work is completed, so you know exactly what to expect. Q. 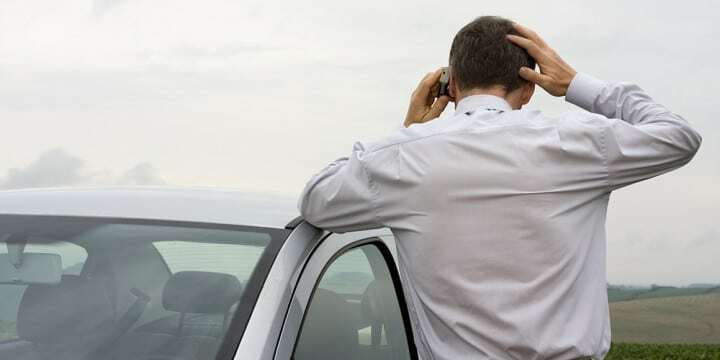 Is it possible my vehicle may suffer damage from using auto locksmith services? Absolutely not! Our technicians use the utmost care to deliver the highest quality services. Our methods ensure all required tasks are carried out smoothly and efficiently, without inflicting damage to your automobile. Q. How much do professional automotive locksmith services cost? Standard rates and service pricing vary depending on the work required. Standard service requests are priced over the phone. You will be given a transparent and fixed quote for services with no hidden extras. Extremely happy and grateful for the fast response from Frank. He got us into our factory within the hour of being called. Highly recommend his services. 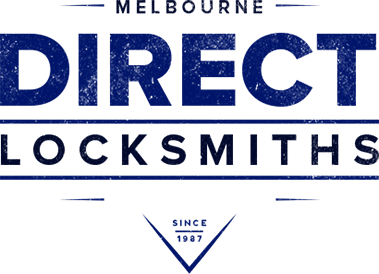 Direct Locksmiths is an independently owned business incorporating 27 years of industry experience spanning across Melbourne and surrounding suburbs.  Our commitment to provide high quality Locksmith services drive us strong and we are proud to be the most trusted Locksmith in Melbourne.